Frugal Tractor Mom: Awww, Suppertime! I always fix spaghetti for us one night while we are at Denton. 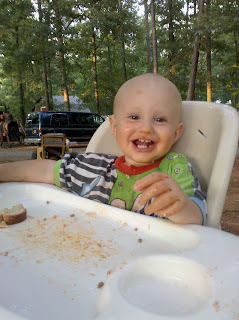 The first night we were at Denton we had spaghetti and I couldn't resist how much Hamp was enjoying his supper! He was kind of upset when he realized that he had eaten the last of his spaghetti. 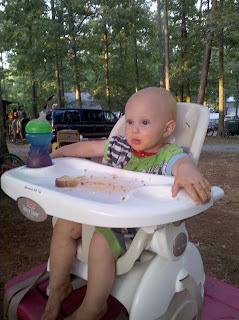 But then he was in camping bliss with a full tummy! Now it's time to play some more before bedtime...watch out! 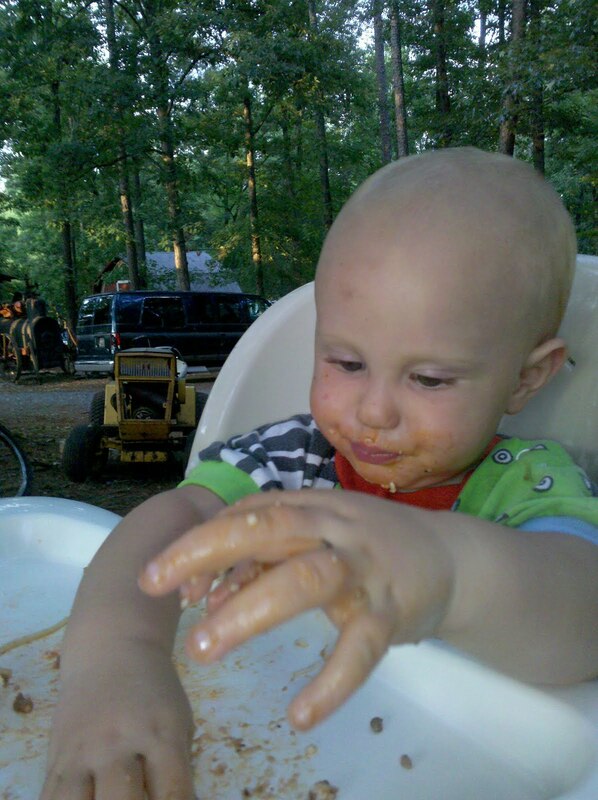 Now that is a boy that knows how to eat. I love it. Hope you are enjoying your trip..